Want to support a specific initiative of Activate Good? Inspired by Activate Good’s Leadership and Service curriculum currently offered in select local high schools, the Teens Change the World! 2019 Summer Program is a week-long service and leadership experience that will give teens the opportunity to volunteer, learn about a variety of local causes, hear from social impact experts, and even pitch their ideas for social impact. 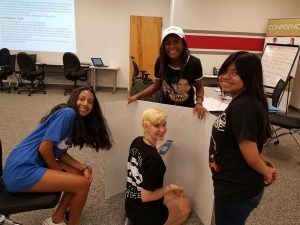 Pitch a service project idea for making a difference in the community during a “Shark Tank”-style showcase event for the chance to win a small grant to actually execute their project! Estimated Teens: 80 + 120 Adult Community Members at Showcase Event. For more information view our sponsorship package here or contact amber@activategood.org. The 9/11 Day of Service is a community-wide day of service coordinated by Activate Good with support from the business community and local government. The 2018 event marks the 18th anniversary of 9/11 and will include services projects benefiting a number of causes and a commemoration event to honor those lost on 9/11 with volunteerism around the Triangle. 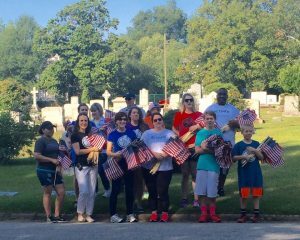 Since 2012. the 9/11 Day of Service in the Triangle has facilitated over 12,500 volunteer connections in service to over 100 area causes. During the 2019 9/11 Day of Service, we will mobilize 3,000 volunteers throughout the day’s activities. Daytime Events-Estimated 1,300 volunteers Evening Commemoration-Estimated 700 Volunteers Sponsorship Package available here. Don’t see what you’re looking for? Contact Amber Smith at amber@activategood.org to create a custom sponsorship package!